Chiropractic is many things: a philosophy, a science, an art. The foundation upon which it is built is the realization that health is the body's normal state, and good health is perfectly natural. Chiropractic holds that the body possesses a unique internal wisdom that continually strives to maintain it in a state of good health. It is this innate, instinctive intelligence which controls our heart rate, blood pressure, adrenaline production, and other vital bodily functions. It is also the guiding force which allows our body to adapt naturally to the influence of internal and external environments. To a great extent, the ability of the body to maintain good health is dependent on its ability to adapt to the environment. Ensuring this capability is one of nature's most remarkable communication networks: the nervous system - comprised of the brain, the spine and the nerves. The brain sends mental impulses to each of the more than 100 trillion cells in the body, instructing them how to function properly. At the same time, each part of the body is sending the brain information based on its internal and external environment at that moment. As the brain receives and processes this information, it sends out revised commands so that the body will adequately respond to its surroundings and maintain the optimum level of good health. These mental impulses are transmitted to and from the brain via nerves passing through the spine. Vertebrae in the spine can - and frequently do - become misaligned and interfere with the body's natural communication process. These misalignments, called subluxations, cause messages transmitted over the spine to become garbled, modified or diminished. As a result, the body's response is inadequate to adapt properly. As the natural ability to adapt and respond to its environment is reduced, the body's ability to respond to challenges to its health is likewise reduced, and poor health results. Chiropractic seeks to identify and analyze subluxations. Whenever possible, the doctor of chiropractic re-opens the body's natural communication network by adjusting the misaligned spinal segment back into its correct position. With nerve function improved, bodily processes are permitted to become more normal, and the body is better able to return to its natural striving toward good health. 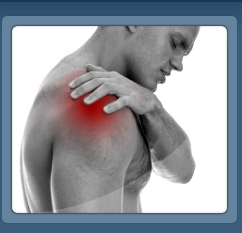 Chiropractic's concern, then, is with the correction of subluxation. Its aim is to ensure that the body's natural health-ensuring processes are allowed to function without nerve interference due to misaligned vertebrae. It does NOT provide "sickness" care, "disease" care or "symptom" care. It provides HEALTH CARE. As a philosophy, chiropractic recognizes that the body has a natural ability to express its health potential to the fullest. As a science, it deals with the relationship between the spinal segments and the nerve system, and the affect this relationship has on a body's innate ability to express and maintain its good health. As an art, it entails knowledge, skill and dexterity to locate and correct subluxations that can rob the body of the ability to maintain its own health. Your nerve system is the dominant system in your body. It controls and regulates the function of all cells, tissues, organs and systems of your body. Because of the tremendous importance of this system, nature protects most of the system by bone. Your skull protects your brain and your spinal bones protect the spinal cord and spinal nerve roots. Your nerve system’s functionality can be compared to an electrical system. Just as with electrical systems, the proper flow of energy through your nerves is vital for normal function and health. Your brain sends “messages” down your spinal cord, and branches out the spinal nerves to the different organs of your body. 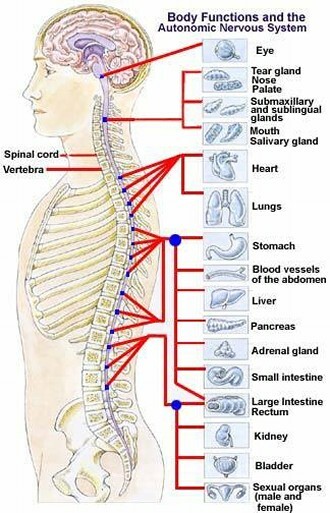 In response, the organs send a corresponding “message” back through the nerves, up the spinal cord, and ack to the brain to complete the information loop. The specialty of a chiropractor is to maintain or fix the flow of these “messages” to maintain a healthy functioning body. A blockage of the “message” transmission called Vertebral Subluxation can result in sickness and disease. Proper “message” flow promotes healing, health and wellness. You may wonder why your doctor of chiropractic might recommend periodic return visits. All doctors who practice responsible and comprehensive healing know this truth: THE BODY NEEDS PERIODIC EXAMINATION AND CARE TO KEEP IT HEALTHY. Why is this? We are living, dynamic, biologically active beings. We are subject to stress, worry, inadequate sleep, imperfect diet, environmental toxins and many other factors which persistently affect us and against which we must defend ourselves. Your doctor of chiropractic will recommend regular periodic examination and necessary treatment in order to keep the improved health you gained through your original treatment period. Why? Your doctor knows the truth that we change internally over time, that we are subject to stress and reinjury, and that the best way to guard our health is to have periodic examination and treatment as needed to protect and preserve our health. During sleep, your nerves and spinal muscles DO NOT REST. Your nervous system works 24 hours a day. You turn and move frequently while sleeping, using vital nerves and muscle systems. Doesn't it make good sense to have regular periodic examinations and necessary follow-up treatment from your doctor of chiropractic? Yes, of course it does. REMEMBER THIS: there are no spare parts for your spine or nervous system. No spinal transplant and no spare parts exist because the spine and nerve tissues are too complex and delicate. It is for these reasons that your doctor of chiropractic recommends periodic care...to best preserve and protect what you have. Health is precious. It cannot be bought or borrowed; it must be built internally and gradually, and it must be protected. How is this best done? You must become interested and knowledgeable about your health and work with a responsible doctor of chiropractic for necessary periodic examination and care. Your doctor has examined you thoroughly and knows a great deal about your health and how to protect it. Please remember that your health is your doctor's concern, and treatment recommendations are made on the basis of your specific, individual needs in order to assure the most health-promoting care.